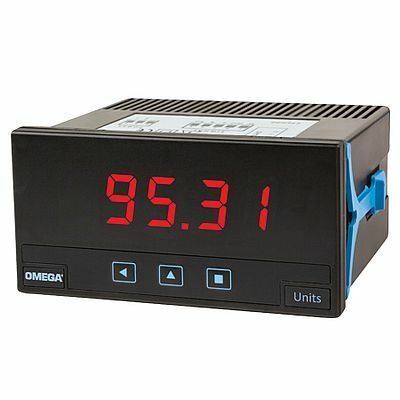 Omega’s new universal panel meter DP20 delivers high performance in a 1/8 DIN size for panel mount and integration in a wide range of applications. The DP20 accepts universal inputs, including thermocouple, RTD, Process (mA & Vdc), resistance, and a true RMS voltage and current. The meter also has a Fast Access Menu-Front Key Access to Modify the Alarm Set points and Max/Min Memory. The Meter is also password protected, has an IP54 Front Panel and 5 levels of Brightness Intensity.